I recently came across this on my Facebook page and felt immediately drawn to it, not only is the picture what some might describe as “colourful content” but also I feel that it’s a very wise little quote. The reason it caught my eye was that I am starting to believe that the use of social media in health and social care is a little Bumblebee-esque (I’m not sure if that’s a real word, but I am going with it!) in that it works but I am not sure it should! I’m a nurse, and I have been a nurse for some (ahem) 19 years now and the reason I started tweeting and blogging is purely because of my love of nursing. 5 years ago I was working as an agency nurse and feeling pretty disenchanted, although agency nursing worked for my family (with three children and a husband who worked away having a full time role was pretty impossible) it didn’t really work for me professionally. All the coming and going, hopping in and out and filling in here and there meant that I really never had anyone to hold a professional conversation with and professional support was non existent. Then there was the CPD, or lack thereof, CPD was really down to me to source, access and pay for – which at times was tough. In order to connect with other nurses, and after some gentle persuasion from my husband, I started blogging and tweeting, my first blog was “Is there anybody out there?” and rather poignantly reached out and asked if there were any nurses out there like me. 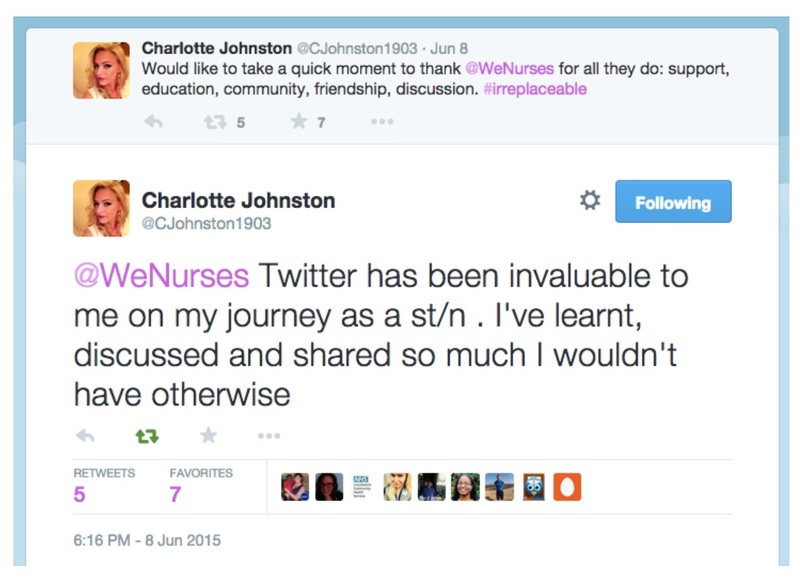 Through Twitter conversations and blogging I slowly discovered that there were lots of nurses out there, who, like me, wanted to connect and share ideas, knowledge, information, expertise, resources and support. 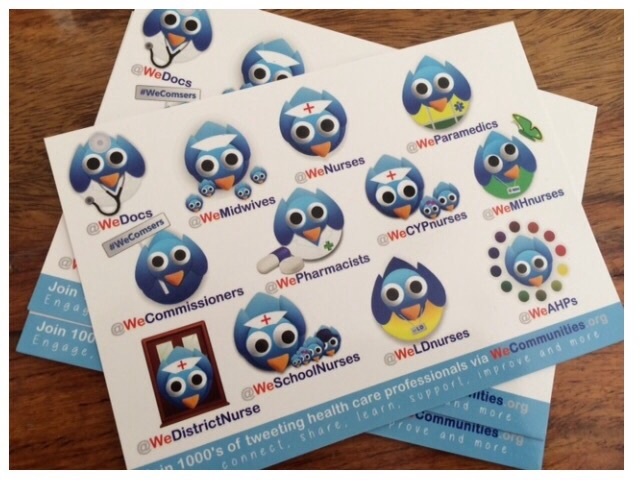 Through a few discussions and email exchanges the need for something more structured and organised came to life and @WeNurses was created – a regular Twitter chat around a pre determined subject in order to help share knowledge, ideas, experiences and support. The first chat we held had 18 people take part and since then it’s just grown and grown and become a really vibrant community of nurses that now number over 34 thousand. The picture below is taken from Symplur’s Healthcare Hashtag Project and shows some of the big numbers behind the community. I often hear myself saying to people that the reason why Twitter works so well for health care professionals is that it gives us access to global expertise in the palm of our hand and this really is the case. We only have to look at @WeSchoolNurses to see evidence of this; school nurses are a very small branch of nursing, yet they have a strong voice on Twitter that is on a global scale. 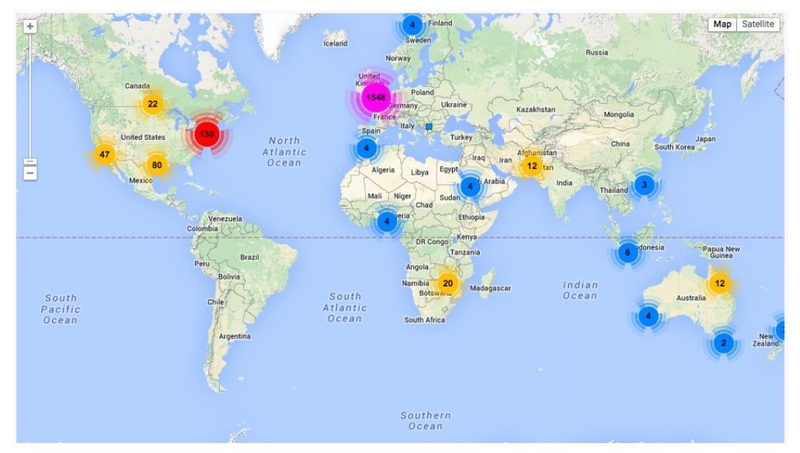 The map below shows the extent and reach of @WeSchoolNurses followers. Due to the open nature of Twitter a conversation is rarely hidden from view and the sharing of knowledge across geographical locations is commonplace. With “open space” conversations anyone from anywhere can join in .. and they do! So is all this just chit chat? Does it have any real value? What about the evidence base? 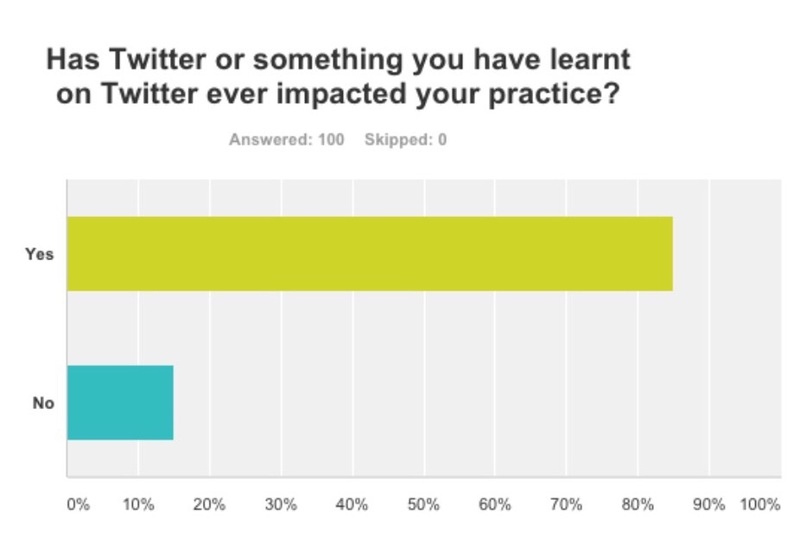 In a survey of WeNurses followers last year it was great to see that people did find value in Twitter and it affected practice. In addition to this participants of discussions are now encouraged to use evidence to back up what they are saying, through the use of the hashtag #EBP but often what people are saying, their experience of practice is in itself evidence – practice based evidence. However, we are always looking for new and different ways of doing things and one such opportunity came up recently to help bring more evidence and research into Twitter. In conjunction with Cochrane UK, CASP and The Mental Elf we have now launched #WeCATS – which is a Critical Appriasal Twitter Session that aims to take a randomised control trial and do a speedy appraisal of it on Twitter over the course of an hour. It’s quite exciting and we hope that it will de mystify the whole critical appraisal process. Holding a conversation in 140 characters with up to 26 0 HCPs over one hour is amazingly powerful, inspiring and innovative stuff. Connecting of people, sharing of stories, knowledge, information, resources and expertise and discussing that over an hour in limited text shouldn’t work, not only on a professional level i.e. the risk element of putting oneself in a very public space and the worry of “what if I say something wrong” but also it seems a lot like herding cats … totally impossible! However it works!! – my gut feeling is it’s like the bumblebee, if we don’t let on that it shouldn’t work then everyone will just keep on going anyway. Social Media use within health and social care is all about making the impossible possible, so I applaud all of those un- aerodynamic but nevertheless flying bumblebees out there … lets keep innovating, lets keep exploring this space and lets fly high. 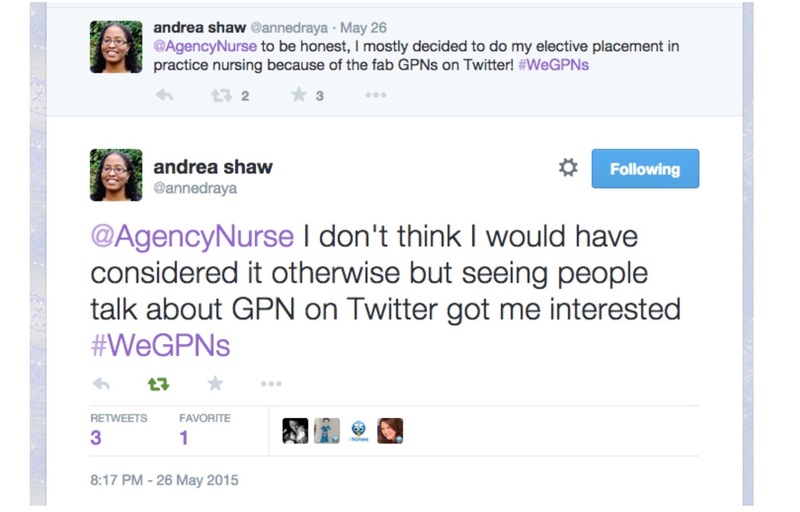 A great piece on how social media can be used by HCP’s for professional development. A grassroots initiative which is truly informative and very easy to engage with.